Glenn M. Gelman & Associates of Santa Ana, Calif., welcomes Lisa Green, Fariba Mehdian and Tanya Valle to principal of the firm. Green has been a member of Glenn M. Gelman & Associates since 1995. 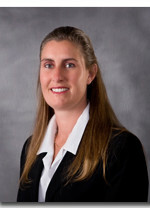 She has extensive experience serving closely held, rapidly growing companies primarily in the construction industry. Her breadth of experience includes managing audits, reviews, compilations, agreed-upon procedures and consulting for a variety of private companies. 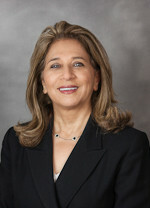 Mehdian joined Glenn M. Gelman & Associates in 2006 and has 18 years of public accounting experience serving clients in the construction industry. Mehdian’s experience and track record showcase her thorough knowledge of the issues impacting the construction industry. Her responsibilities have included virtually every aspect a finance professional in the construction industry would encounter. Valle joined Glenn M. Gelman & Associates in 2002, beginning as a staff accountant, then progressed into management positions in the tax department and is now principal. She has a broad set of skills involving construction, real estate development, manufacturing, not-for-profit organizations, and tax planning for high-net-worth individuals. Valle has focused her expertise in tax minimization strategies and tax planning for corporations (C and S), partnerships/LLCs and individuals. 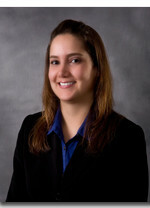 She also has years of experience working with companies that operate in multiple states.